Commercial inspection services are also available. Business owners can benefit from a comprehensive inspection that assists you in determining whether a commercial property serves your needs and use. RCI Services will provide an unbiased report on the condition of the visible and accessible systems and components of the commercial property. Call Ray or Judy at 615-371-5888 if you are interested in a commercial inspection. GROUNDS – driveway, walkways, retaining walls, patio, fences and gates, grading and landscape features. EXTERIOR – stairs, walls, trim, doors, windows, porch, deck, gutters and downspouts and the chimney. GARAGE/CARPORT – garage interior and garage vehicle door operation. FOUNDATION – slab on grade, raised foundation, crawlspace and framing or basement foundation walls and framing. 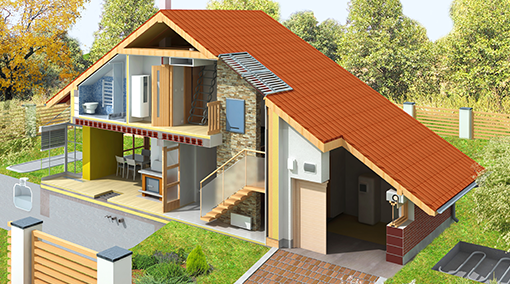 ROOF & ATTIC – roof type, flashing, attic including ventilation and insulation. PLUMBING – main line, supply lines, waste lines, exterior faucets, water heater and laundry area. HEATING AND COOLING – type of system, fuel source, unit condition and location. ELECTRICAL – service supply, main panel, sub panels, conductor type, smoke detectors and wiring defects. INTERIOR – doors, windows, walls, ceilings, floors, fireplace, ceiling fans and stairs/handrails. KITCHEN – sink plumbing, disposal, counters, cabinets and all installed appliances. BATHROOMS – toilets, sink plumbing, counters, cabinets, venting, bathtubs and showers. Before placing you home on the market, a pre-listing inspection can identify current issues in your home that need to be addressed to ready it for sale. This inspection can help to eliminate surprises from the buyer’s inspection and reduce the time your home remains on the market. When you are building a new home, RCI Services recommends that it be inspected at two phases during the construction process. The first phase is just before the drywall is installed to ensure that building progress meets and exceeds industry standards and to identify defects that need to be addressed by the contractor before they are no longer accessible in the next phase of construction. The second phase is at the end of construction before the builder’s pre-final walkthrough. A new construction inspection is performed after the completion of construction of your new home and before the builder’s pre-final walk-through. The inspection evaluates the systems and components of a new home and helps to ensure that they are installed and working properly. This inspection is typically performed in the 11th month after the occupancy of your new home. 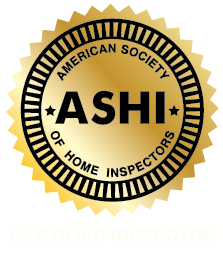 This is a comprehensive home inspection that helps you identify issues that need to be addressed by the builder prior to the expiration of your one year builder’s warranty. Radon is a naturally occurring, odorless, radioactive gas that results from the breakdown of uranium in soil and rock. Radon is the leading cause of lung cancer among nonsmokers in the United States. Protect the health of your family with a radon test that will measure the presence and levels of radon gas in the home. Mold can cause health issues for humans and structural damage to property. RCI Services provides a visual assessment and air quality testing for mold. 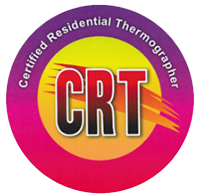 Also known as infrared thermography, thermal imaging involves the use of an infrared camera that can aid in detecting temperature variations that can identify potential problems such as moisture penetration, insulation deficiencies, air leaks and overheating electrical components.